Seven main issues form our foundation. Dianne knows that when government lines the pockets of powerful and connected insiders, we lose jobs and are forced to cut services our communities desperately need. She believes in requiring elected officials to stand up and defend how they spend public money, ensuring that spending reflects our shared priorities: education, health, safety, environmental protections, transportation, jobs and smart economic growth. Reform TIFs and enforce corporate tax collection, returning needed funds to all neighborhoods. Find smart and fair revenue solutions to the current pension shortfalls while creating long term budget solutions for the City. Workers paid their part; government did not. Public workers do not pay into social security and rely on their pension benefits for their retirement. Adopt a fair tax that does not unduly punish low wage and middle-class earners. Close corporate loopholes and work with state legislators to develop Progressive taxes. Enact community-based participatory budgeting; empowering residents to influence how we spend money that is in our ward’s direct control, including TIFs. Dianne understands that energy sustainability can begin at the state, city and ward levels. Chicago can be a model for how cities can fight climate change and foster sustainability. 2018 was a record-breaking year in rising greenhouse gas emissions, and Dianne knows that the time for action is long overdue. Push for banning single-use plastics, like silverware and straws. Urge the city to follow the lead of the World Bank and divest from fossil fuel industries. Require developers to properly insulate to save on heating costs. Push to ban insecticides that cause harm to bees. Protect Lake Michigan water. Water should be for people, not corporations. Encourage the use of solar panels on public and private buildings by developing incentives for environmentally sustainable building practices. Establish a robust City Council Climate Crisis and Sustainability Committee to address environmental issues to replace the ineffective Health and Environmental Protection Committee. Incentivize renewable electricity practices and innovation in sustainability, as Seattle did with its Living Building Ordinance. Dianne believes that strong schools make strong communities. 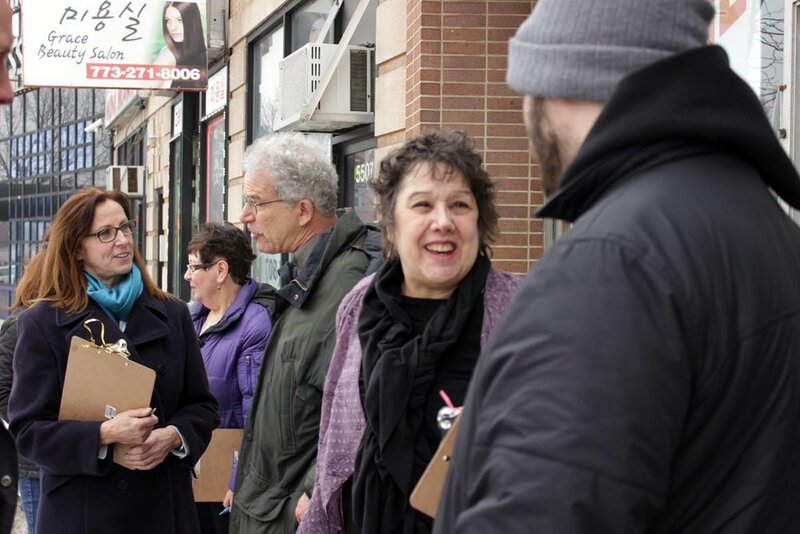 As an educator, mother, local school council member, and community activist, Dianne will continue to work for all public schools to be adequately and equitably funded, ensuring the stability and safety that only fully-funded neighborhood public schools can provide to all of Chicago’s children and families. Lead the charge for an elected school board that includes parents, educators and students. Fund a full day of school wherein students have libraries, computer labs, full schedule of meaningful instruction and all services. End the overuse and misuse of standardized testing. Implementing more effective testing will restore hundreds of millions of tax dollars wasted on the purchase of test prep curriculum and standardized tests back into schools and services. Partner with restorative justice community experts to curtail student suspensions and provide a safe learning environment for all. Require full financial disclosure in privatized services and by all education-related contractors, including charter schools, testing companies, janitorial, engineering and food services — everyone — and demonstrate how all public and private funds are spent. Dianne believes that all of us — young and old, straight and gay, female and male — should be safe in all neighborhoods. As a former social worker, she knows the connections between poverty, inadequate education and crime - and the difference between equality and equity. Dianne will work to end poverty at every turn and push the City to maintain adequate levels of firefighters and police officers on the job to ensure the safety of all. Develop deeply-rooted community policing strategies, including restorative justice, to create positive police and community relations. Ensure that physically and mentally fit, fully funded, fully staffed, fully trained and well rested officers are deployed in all districts. Work tirelessly with local public schools to fund healthy, active and meaningful after-school programs for students and families. Work to restore social safety nets, to lift up those in need. In a city and state with the highest taxes in America the number of families living below the poverty level is growing all too quickly, while rents, service fees and property taxes are rising. Dianne will promote Chicago-based businesses and industries that create jobs, and economic stability in our communities. Dianne will foster vibrant partnerships between local businesses and residents, keeping tax dollars in the community, and enabling local businesses to be competitive in this new age of the digital economy. Back public programs to rebuild Chicago’s infrastructure built by Chicago-based businesses. Invest in education at every level, PreK – 12, to make our community safe and our city attractive to new business. Work with local chambers of commerce and banks, incentivizing fair lending and resource support for small business entrepreneurs. Dianne believes Chicagoans want an honest government, but for that to happen we must vote. In the past three Ward 40 aldermanic elections, only 35–38% of registered voters turned out to vote. We must elect officials who are not beholden to the corporate machine that City Hall has become. We must vote for candidates who will work for us and who are not accountable to special interests. 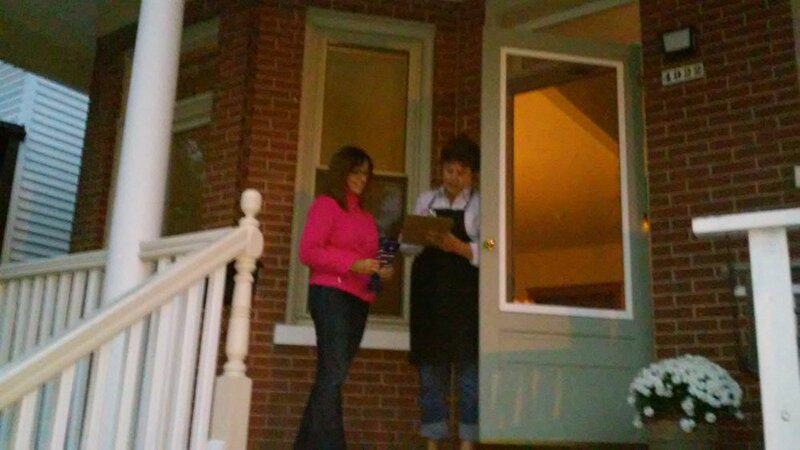 Dianne is running for Alderman of the 40th Ward because she believes in serving the the ward and knows ward residents deserve better. Put an end to the all-too-common practice of placing family members and friends on the city’s payroll, enforce open and equal employment opportunity regulations to ensure city jobs are filled by the most qualified and skilled workers. Ensure vacated elected seats are replaced by the voters, not the special interests of mayoral appointments. Work tirelessly to increase voter registration and turnout to show Ward 40 residents the power of their own vote. Not registered to vote? Register now. Dianne has fought discrimination throughout her life. She is a tireless defender of equality — equal protections under the law, equal pay for equal work, equal employment and housing opportunities. She is proud that marriage equality is a reality in Illinois, and knows that much work remains to ensure that all people are treated as equals. Partner with schools and community organizations to strengthen immigrant services. Work with progressive caucus to ensure these services are in the budget. Restoring funding to schools and libraries allows greater availability of citizenship classes and will reduce class size for English Language Learners, and provide job training and workers’rights education. Advocate for expedited routes to citizenship, not one more deportation without due process guarantees, and fair treatment of all immigrant workers. Fight to fully fund accessible physical and mental health screenings and services for all. Connect to and partner with council women and men throughout the nation to ratify the Equal Rights Amendment to the U.S. Constitution.